Q: My roof is leaking – what now? Melbourne Roofcare and Gutters is a team of repair contractors made up of experts and industry professionals who are here to provide trustworthy, affordable, and quality services to protect your home from the hazards that can be caused by roof damage. We are a Victoria based tiling and plumbing business and specialise in roofing, repairs, restorations, and replacements in the Melbourne metro area. Covering everything from basic advice and guidance through to leaking roof repairs, Melbourne residents can rely on our team of roofing contractors to keep them dry and protected from the weather all year round. We at Melbourne Roofcare and Gutters provide you with a competitive repair service that is both flexible and comprehensive in its products and services. Thanks to our passion and experience for all things roof restoration Melbourne homeowners can trust our dedicated and professional team. All of our tilers and plumbers are hard-working experts with years of experience in repairs. They are known for their professional manner, quality services, and timely manner when working on a project. 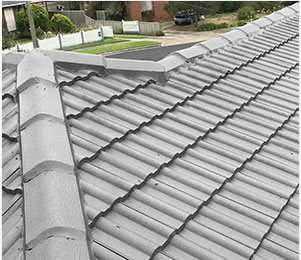 At Melbourne Roofcare and Gutters, we understand the Australian climate and essentials of Melbourne roof repair well and have the confidence to advise you in the right direction, giving your roof the best treatment it can get. Our products are of the utmost quality and are structured to withstand the hard and constantly changing weather conditions. For this reason, we offer you a 10 year 100% satisfaction guarantee on our work and workmanship to ensure you are happy with the results. No job is considered too big or too small for our team, and our repair contractors will work with you to provide the best tailored solution based on your home’s individual requirements and your personal needs. After an extensive examination of your roof, Melbourne Roofcare and Gutters may recommend a complete roof replacement if your current roof is not strong enough for restoration. 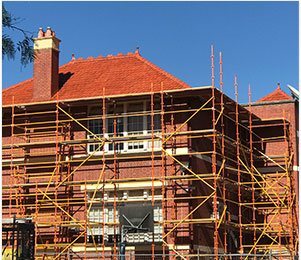 Our roof replacements services in Melbourne include metal, terracotta, cement, and slate roofing. The beauty of roof replacement is that it gives you the opportunity to transform and upgrade your old roof to a roof that will ensure no work is needed on it in the future. We specialize in roof tile replacements and metal roof replacements. Roof tile replacements will effectively transform and upgrade your old tiled roof, and we have a wide range of styles to best accommodate your personal needs. Once you have picked out your tile preferences, we will provide you with a written quotation. Once that is done we will give you an estimated date for starting your job, and will arrange for the delivery of materials to your site, ensuring that our team members will be scheduled to receive them when they arrive. Once everything is in place, our team will begin work on your roof replacement, working with you every step of the way to make sure you are always informed and happy with the results. Our metal roof replacement services are hugely popular and include only the highest quality materials and most skilled roofing professionals to get the best job done. With many roofing materials out on the market, it is important that you get the best quality materials for your project. Our team will work with you in the consultation and construction processes to determine the best type of roof for your home. We ensure that we will fit our roof replacement services around your schedule, and our team will work as quickly and efficiently as they can to get the job done impeccably in the allotted time frame. 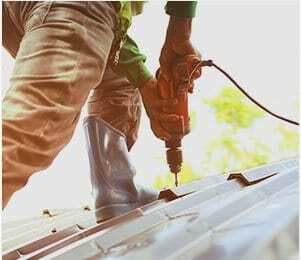 We have the skills, ability, and team to ensure your home or business will be able to continue your daily operations without disruption during our roof replacement, as we work around the clock to ensure your satisfaction and general convenience. For lasting and superior roof repairs Melbourne residents can the experts at Melbourne Roofcare and Gutters. 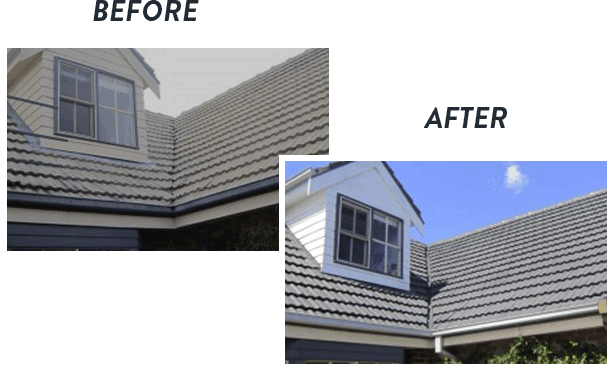 After years of experience and countless roof restorations, you can be sure that we are the best when it comes to roof restoration in Melbourne. We have earned ourselves a solid reputation and a loyal customer base. Roof restoration is more important than you may think, for a number of reasons. For obvious reasons, your roof makes up almost half of your home’s exterior, making its appearance extremely important as it is a large part of people’s first impression of your home. A new, modern, and well­ built roof will create a well-formed impression, not to mention a safe and secure sense of protection for you and your family. When you invest in a process like a roof restoration, you are also greatly increasing your home’s market value. With our expertise on all things roofing Melbourne can rely on our skills and abilities for superior and lasting results. At Melbourne Roofcare we strive to deliver a complete and reputable roof repair service to our valued customers. Thanks to our leaking roof repairs Melbourne home and business owners can breathe easy knowing that the elements will be kept from coming inside. This is not to mention that you are extending the life of your roof and preventing any future costly repairs. Furthermore, old and loose tiles can prove to be a danger to you and your family, and restoring your roof will ensure your safety. We pride ourselves on weather proofing homes to withstand the Melbourne weather and all of its unpredictable elements. We work with you to determine the right process, materials, and time frame for your roof restoration to ensure it meets your personal needs and schedule. A roof restoration done right can save you thousands of dollars in future repair work, and give you priceless peace of mind for your family and your home. 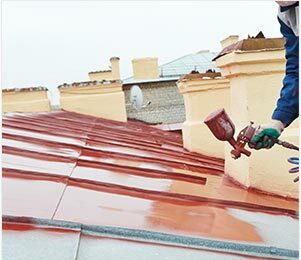 Our Melbourne roof restoration experts provide a wide range of services, and also offer additional services such as guttering and downpipes for those homes that require it.